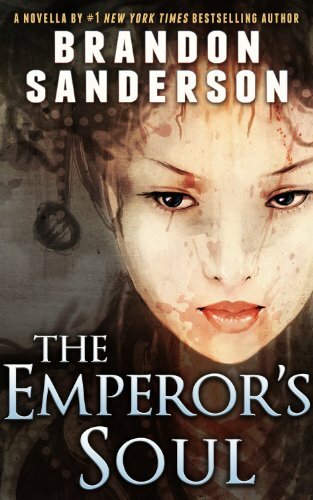 The Emperor’s Soul is definitely not as good as either Elantris or the Mistborn books, but it’s good. It was short, so it packed a lot into a small space. I liked it even more when I got to the end and found a note from the author that he got the idea from name stamps, which they use frequently in Asian countries like Korea, where he served his mission. Hey! Jarom did that too! And I have a name stamp! This seems like a much less fantasy/magic-heavy book, although it did have elements of magic-ish-ness. With such a short read, I think you’d enjoy picking it up. It has a very different feel from the other Sanderson books I’ve read – which is good. I like when an author can capably write in several styles.